Promised today I'd share some unreleased images and add some funky edits to them, so here they are! Image number one was shot in Denver with Grace Peters, an agency model there who really reminded me of myself, she felt like she needed to pursue what was in her heart so she moved from small town Kansas and got signed to a modeling agency there in Denver. She has a huge heart and is really fun to work with. 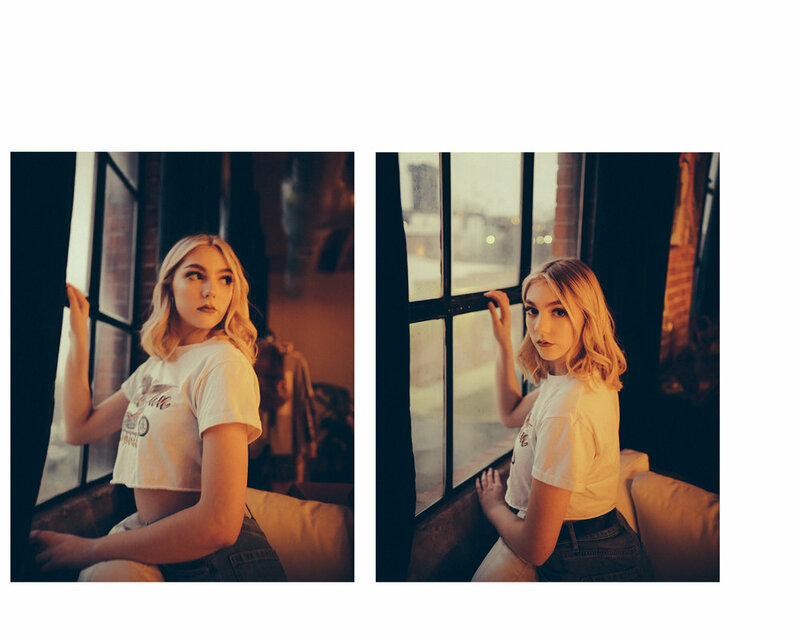 Images two and three are from this summer with Julie Stewart, she is one of my favorite people to shoot with because she can get on the same wavelength with me in my strange fashion posings and is such a natural at playing along and getting outside the box. Images four through six are from a studio loft shoot I did with Riley recently, it was about 2 degrees outside so definitely afforded the opportunity to get outside my comfort zone and do something new with the indoor shots and a camera flash. Surrealism...and why I am the worst marketer I know.